The Building Research Achievement in Neuroscience (BRAiN) program provides an exciting opportunity for junior and senior undergraduate students to perform cutting edge neuroscience research in the state-of-the-art research facilities at the Anschutz Medical Campus in Aurora, Colorado and at their home campus, the University of Colorado Denver (UCD) downtown campus or New Mexico State University (NMSU), Las Cruces, New Mexico. The BRAiN program aims to create a network of diverse undergraduate students prepared to pursue a postgraduate education in neuroscience. To what extent does participation in BRAiN activities prepare students to successfully apply and be admitted to neuroscience graduate programs? To what extent does participation in BRAiN activities impact students’ knowledge, skills, and attitudes? To what extent are program components implemented with quality and fidelity? What lessons are being learned about effective ways to develop a pipeline of students from underrepresented populations into careers in the neuroscience research field? In what ways are communications and collaborations strengthened among the affiliate institutions? The evaluation utilizes a mixed methods approach, including data collection and analysis of program artifacts, student surveys and interviews, mentor surveys and interviews, program observations, and stakeholder interviews. BRAiN is funded through the National Institutes of Health (NIH). The Center for International Business Education and Research seeks to increase the competency of students and faculty in international business at UCD and throughout the western region. The evaluation of CIBER assesses the impact on the professional practice of faculty participants, the affect on curriculum, and the satisfaction of participants with programs. Evaluation methods utilized for the CIBER evaluation include: Expert review of curriculum, surveys, grant report review, interviews, and observations. CIBER is a grant award program through the U. S. Department of Education. Achieving these directives involves sweeping transformations of the scientific and educational infrastructure/enterprise at the Anschutz Medical Campus and the Institute’s affiliated institutions/organizations. Evaluation methods utilized in the evaluation of the CCTSI include: Progress monitoring (involves engaging stakeholders in logic modeling — the development of proximal and distal outcomes, anchored by a long-term vision), case studies and longitudinal assessment of cohorts (e.g., of pilot project and career development awardees), social network analysis and bibliometric analysis, and workflow and cycle-time analyses. The CCTSI evaluation spans multiple disciplines, involves rigorous methodologies and mixed-methods approaches, and relies heavily on the engagement of stakeholders at multiple levels (from local program managers, to the CCTSI executive leadership, to NIH representatives). Our team has developed a number of innovative tools and instruments to respond to the demands of evaluating/assessing organizational change across these levels. The CCTSI is a national grant funded through the National Institutes of Health (NIH). The University of Colorado Denver (CU-Denver) has been awarded a National Science Foundation grant to develop and implement a certificate program to prepare tribal liaisons to improve the environmental stewardship of Indigenous lands (ESIL). This pilot phase will include the development of a network of partners using the collective impact initiative principles. The Evaluation Center is assessing how the partner network is developing and working by gathering feedback through key informant interviews, observations, and artifact review. We use a specifically tailored rubric for the ESIL project to assess the functioning of the network, as well as, story-telling to facilitate qualitative data collection. Further, we are assessing ways in which partners are using shared measurements and continuous communication supports progress. Performance indicators will be established to better understand ESIL participants’ motivation, satisfaction with certificate program components, and anticipated career trajectory; and what we can learn from existing data related to the ESIL certificate program. We use participatory methods with program leaders at all phases of the evaluation to ensure all voices are heard and that the evaluation aligns with best practices in cultural responsiveness during data collection and analysis. 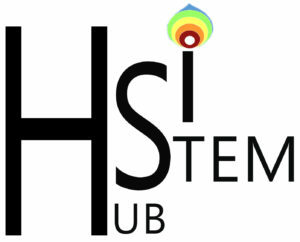 The National Science Foundation awarded only one Resource Hub for STEM Education at Hispanic-Serving Institutions (HSI) for the entire country. The five-year grant funds an HSI Resource Hub at New Mexico State University, in collaboration with Dona Ana Community College and California State University-Northridge. The HSI Resource Hub aims to reach HSIs across the nation to build partnerships that will support STEM education, increase STEM research and education capacity at HSIs, and encourage implementation of cutting-edge training in STEM education. Evaluation Methods include: organizational network analysis, geographic mapping, key informant interviews, surveys, and document review. The University of Colorado Denver, Denver Public Schools, and 24 high-need rural schools districts have entered into a partnership to prepare the next generation of teachers. This project, funded by the Department of Education, allows the partners to recruit local diverse students and provide them with customized pathways and support during their teacher preparation and to continue support to new teachers so they can serve in the highest need urban and rural school settings. The project has a clear focus on improving academic achievement and diversifying the teacher workforce. What is the evidence that the NxtGEN model promotes the recruitment, preparation, and retention of diverse teacher candidates? How do the various program components contribute to the recruitment, preparation and retention of effective teachers? What is the evidence the NxtGEN programs effectively promote academic and career persistence? How do retention rates among program graduates compare to those of state and district teachers? What is the evidence that programs provide customized services and support for licensure, induction, and ongoing professional development in rural districts? What is the effectiveness of online learning in preparing teacher candidates in rural communities? Are participants more effective in raising student test scores than other Colorado public school teachers with the same level of experience but trained through other routes? What is the evidence that the induction model is responsive to individual teachers’ professional growth and social emotional needs? For first and second year teachers, is this model associated with increased effectiveness and persistence? What is the evidence that the partnership with the Learning Assistants program enhances the recruitment, preparation, and retention of STEM teacher candidates? What is the evidence that LAs thrive academically in the program? How does the NxtGEN model increase the capacity of faculty and partner educators to implement national and state-level standards-based reforms? Evaluation methods include: needs assessments, interviews/focus groups, surveys, GIS mapping, rubrics to assess the quality of partnerships, and the review of records including recruitment, graduation, teacher evaluations and assessments, teacher retention, and student achievement data. PETRA is a consortium funded by a five year grant from the National Institutes of Health to promote the improvement of health professions education at four higher education institutions in Zimbabwe. The University of Colorado Denver and Stanford University serve as international collaborators. A special focus of the consortium is to accelerate the development of inter-professional education and implementation science in Sub Saharan Africa, especially in areas of critical shortages of medical personnel. What evidence exists of the development and implementation of inter-professional health professions curricula? To what extent are health professionals retained in areas of greatest need? How is the research culture affected by the introduction of new approaches and technology? To what extent do leaders emerge to serve as champions of inter-professional education across the consortium? Promoting Excellence in Research and Faculty Enhanced Career Training (PERFECT) is a grant program awarded to the University of Zimbabwe College of Health Sciences by the National Institutes of Health. Over five years, the program intends to build the medical research capacity of 30 junior faculty trainees in seven target scientific areas that represent health concerns in Zimbabwe. A supplemental grant (Clayton – Dedonder Mentorship) was awarded to provide additional training to enhance the leadership skills of the PERFECT scholars (July – December 2018). For the PERFECT grant, members of The Evaluation Center serve as consultants to the local evaluators in Zimbabwe, building upon the evaluation capacity development conducted under previous grants (see NECTAR description on this website). Evaluation mentorship includes review of evaluation designs, data collection and analyses methods, and reporting. The Evaluation Center conducted a survey of faculty who participated in learning opportunities focused on high impact practices and a review of participants’ course syllabi.